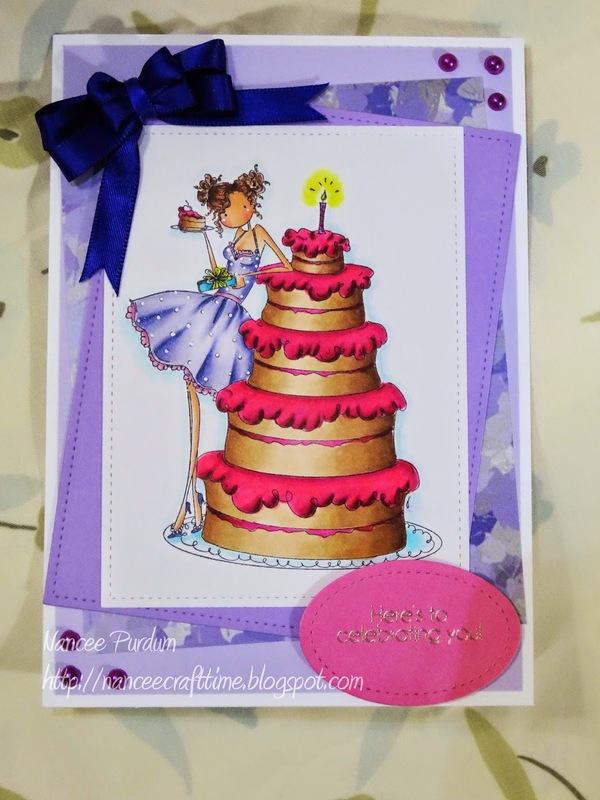 Another Stamping Bella card! 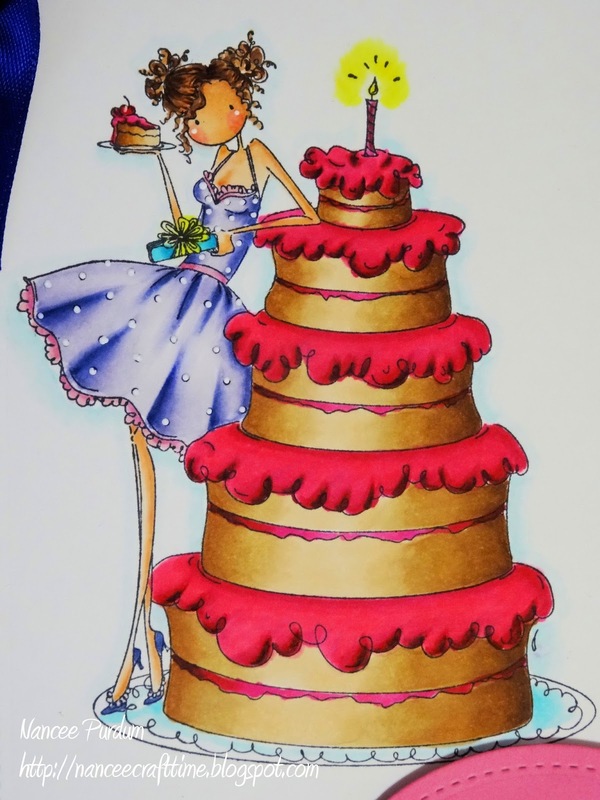 This one is a birthday card using Uptown GirlBianca Has A Big Cake. I love her! 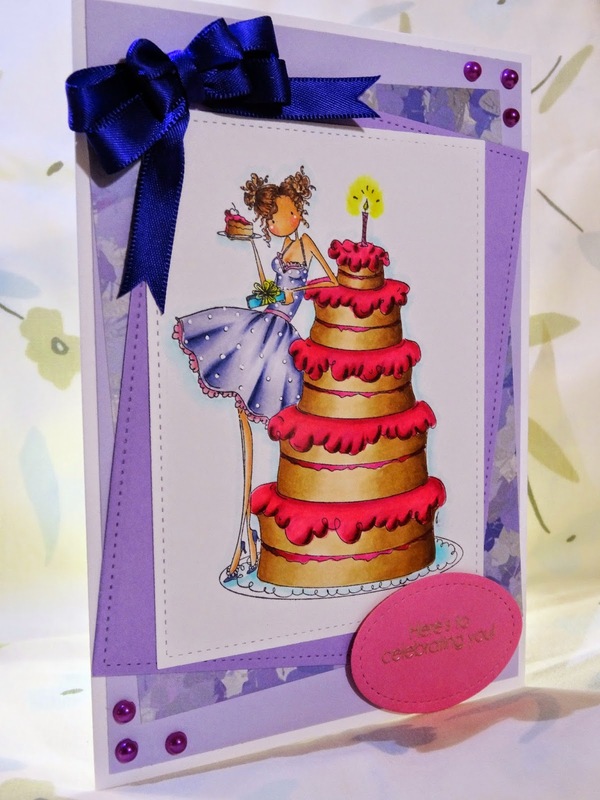 This card is for an April birthday in my family….I have several! I colored her with my Copic markers. I used my Lawn Fawn Stitched Rectangles to cut her out and layered her on another piece of card stock using a slightly larger frame. 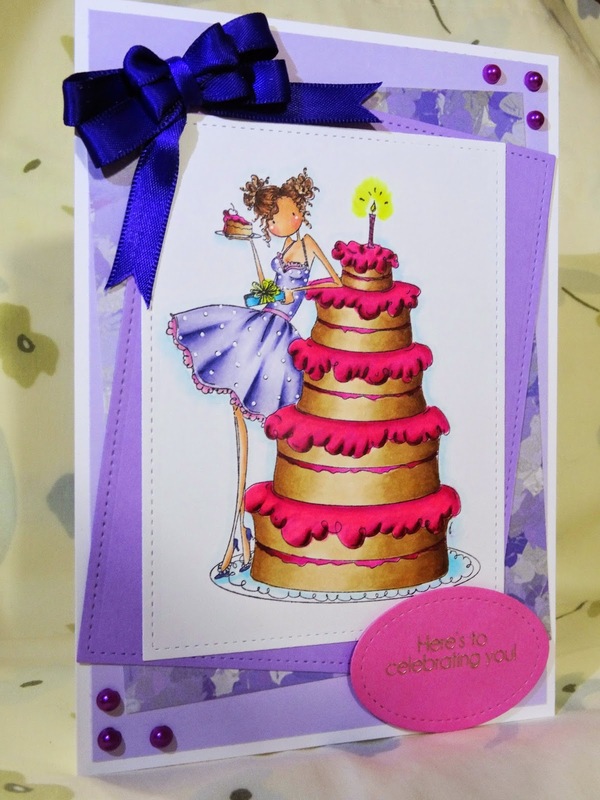 The patterned paper is from Gina K Designs, Parisian Garden. I added some pearls to the corners and a bow to finish my card.